The all-new BMW 5 Series makes its world debut today at the 2017 Detroit Auto Show. 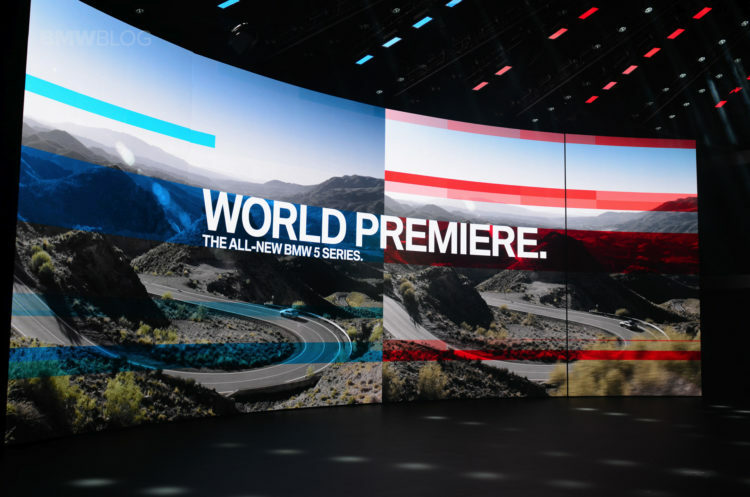 BMW’s middle athlete will arrive in showrooms on February 11th in the 530i and 540i guise. 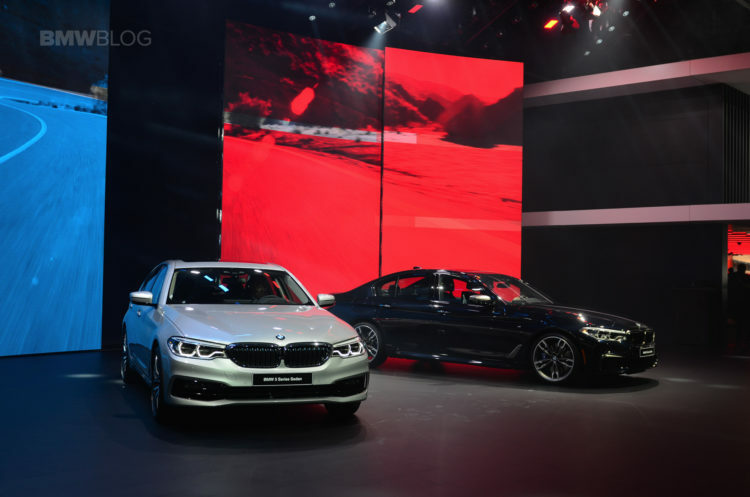 The BMW M550i xDrive and BMW 530e and 530e xDrive iPerformance models will be launched in April. The new 5 Series exudes athleticism, luxury and elegance, and at a first glance, BMW seems to have a winner on their hands. Compared to the previous generation, the design of the G30 5er is more refined, more premium, yet just as sporty, if not even sportier. BMW wanted the new 5 Series to be the perfect blend between luxury, technology and sportiness. It also wanted to make the cabin very business-like. And to do so, it has used several design cues from the new 7 Series. No one can argue that the interior of the G30 is far superior than the one in the previous generation, from the quality of the materials to the technology and fine details. Included from the start of sales is an updated version of BMW’s traditional turbocharged 3.0-liter in-line six-cylinder petrol engine. It develops 248 hp and 258 lb-ft of torque in the £40,120 530i and the more powerful 355 hp and 332 lb-ft in the 540i. 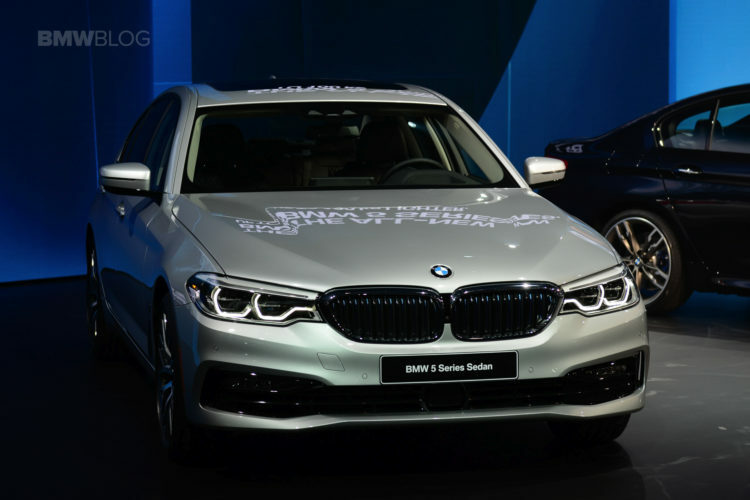 Among the diesels to be sold in Europe the is BMW’s latest 2.0-liter four-cylinder engine, delivering 187 hp and 295 lb-ft. Also planned from the outset is a 3.0-liter six-cylinder diesel that delivers 261 hp and a generous 457 lb-ft. The American market will also receive a diesel model in the future. Standard equipment now includes Adaptive LED Headlights, Sport Seats, Active Protection, Fatigue and Focus Alert as well as an 18-inch Double-Spoke Wheels and an Anthracite headliner. 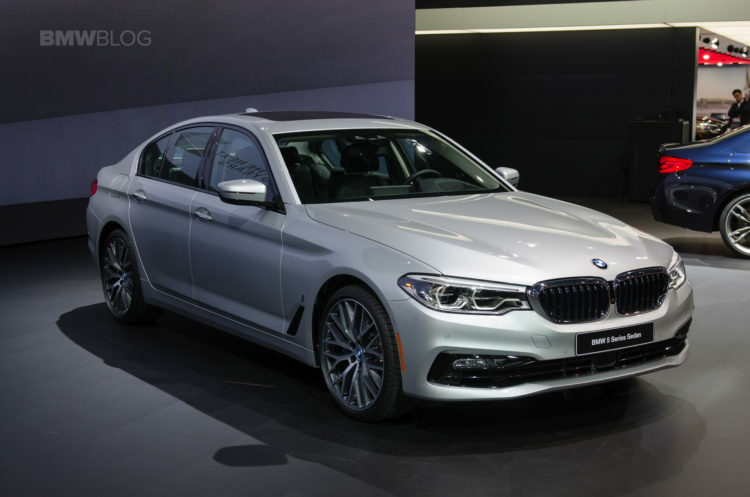 The 2017 BMW 530i will be available in the U.S. for $51,200, the 530i xDrive model for $53,500, the BMW 540i will be available for $56,450 and the BMW 540i xDrive model for $58,750, plus $995 Destination and Handling.